The annual Beaches International Jazz Festival took place this year in July. I went down on a very hot Friday evening for the Streetfest on Queen Street East. 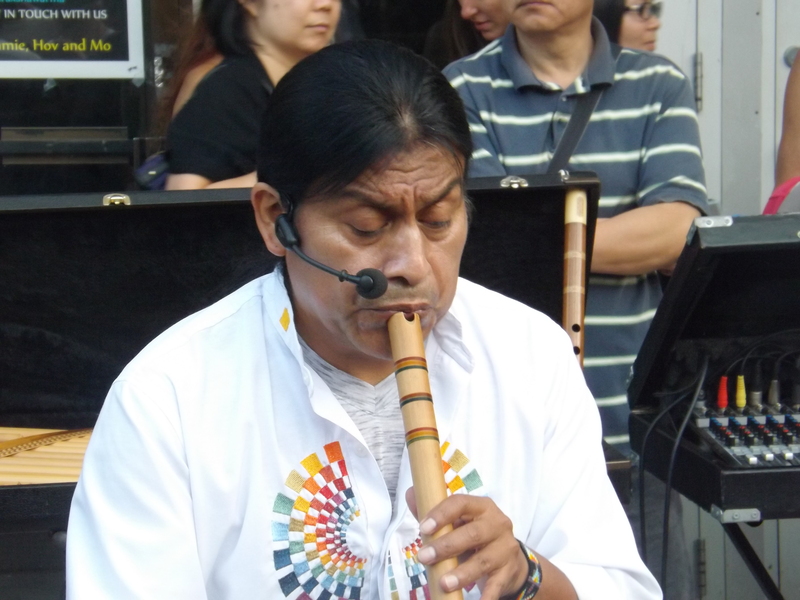 I really enjoyed listening to the Imbayakunas, an uplifting fusion of traditional instruments and modern beats from Ecuador, Peru and Bolivia. Their incredible flute and guitar synchronized music kept the crowds dancing all night. Check out this Vine which I made.